Natalie received her degree in Exercise Science with an Emphasis in Motor Development from the University of South Carolina. She earned her Doctor of Physical Therapy from Radford University and is thrilled to work in the field of pediatrics. 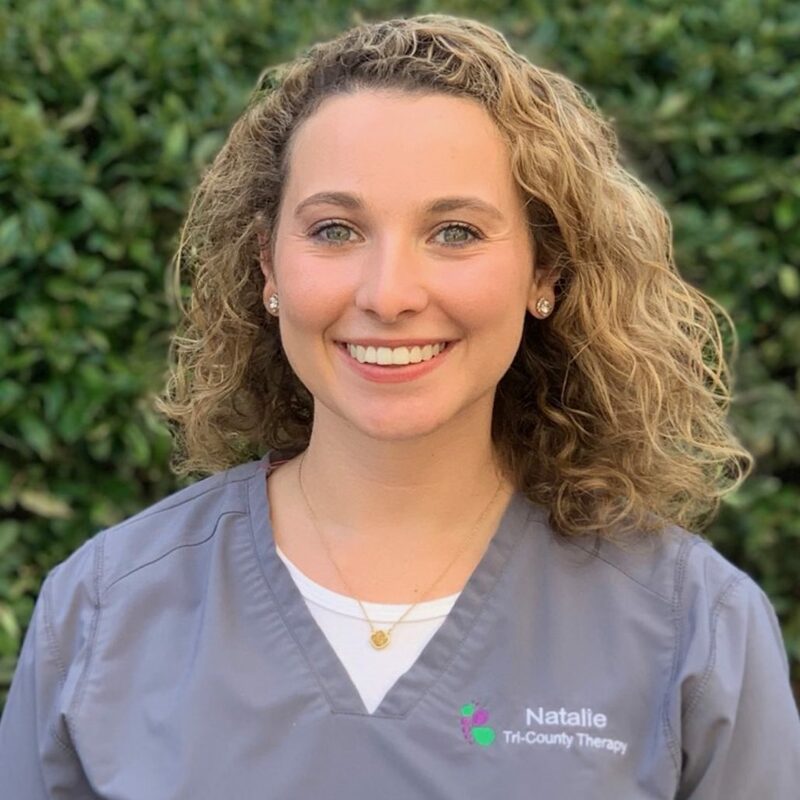 Natalie has completed clinical rotations in pediatrics and is a member of the American Physical Therapy Association. She loves to meet children where they are and form a partnership to improve the quality of life for each client! Natalie just married her best friend, Joe, in January of 2018. They love being outside together, especially on the water, watching Netflix, and enjoying the occasional Cookout milkshake.